Born in Munich, Germany, Irmgard Gylstorff gained her veterinary qualification at Ludwig Maximilian University of Munich (LMU) in 1935. In 1939 she became the first woman to pass the examination for the State Veterinary Service. She completed her Dr medicinae veterinariae at the Department of Pathology, LMU in 1936, and in 1952 successfully submitted a Dr habilitatus thesis at the same Department and University. During the difficult years of the Second World War she was appointed as provisional head of the Institute of Veterinary Pathology at LMU. In 1958 she was appointed 'Extraordinary Professor'. She was entrusted with setting up a poultry health service in Bavaria and headed this organization from 1945 to 1960. She then moved to the School of Veterinary Medicine, Hannover, as head of the Institute of Avian Diseases and Animal Hygiene until 1965. This was the first faculty dealing with poultry diseases to be created at a European university. In 1965 she returned to Munich and headed, until her retirement in 1981, a new institute of poultry diseases, ornamental and zoo birds, now known as Klinik für Vögel, Reptilien, Amphibien und Zierfische - LMU München. She was Dean of the Faculty of Veterinary Medicine, LMU, in 1969-1970 and Vice-Dean in 1970-1971. She served as chair of the European Society for Veterinary Pathology, and Secretary of the German Branch of the WVPA. From 1973-1977 she was the first woman to serve as WVPA President, and in 1981 was appointed an Honorary WVPA Life President. Her contributions to veterinary science were recognized by many awards, and include the Theodor Kitt Medal of the Munich Veterinary Association (1980). A street in Munich is named after her. Professor Gylstorff's career centred on diagnosis and control of avian diseases. She published over 120 scientific papers, and also books and contributions to books on diseases of poultry, pet birds and mammals. She supervised many post-graduate students. 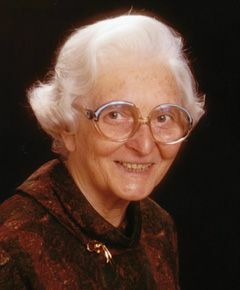 Irmgard Gylstorff had a broad, educated mind, and enjoyed life. She was devoted to her profession, and the well-being of her family and her colleagues was a priority for her. She was survived by her husband, Viggo, one son, one stepson, and 4 grandchildren. WVPA thanks Hafez Mohamed Hafez and Helga Gerlach for compiling this profile.